Once we have completed the following steps I will remove the friend connection. 2. 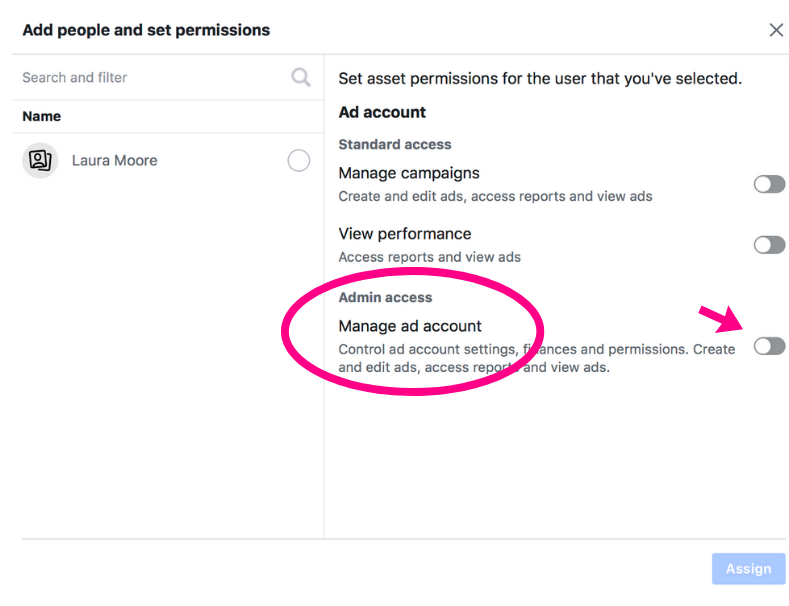 Go to your Ad Account Settings in Ads Manager. You may be asked to re-enter your password. To get to your ad manager see the image below – this should show on your home page. 3. Under Ad Account Roles, click Add People. If you can’t find me here then let me know as I will need to go back to FB chat. Once you add me, I will have immediate access to your ad account. You can always change my permissions or remove me from your ad account by clicking the X that’s next to my name. However, doing this will mean I can’t access your ads so it’s advisable not to do this while we are working together. 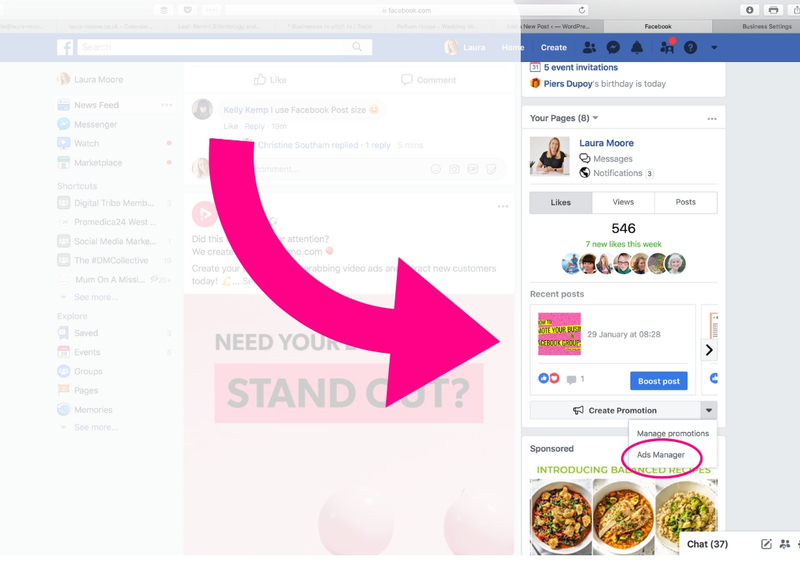 You can follow the above instructions OR give me your ad account number and I can request access from my Business Manager, in which case you should receive a notification within your Business Manager which you just have to accept.